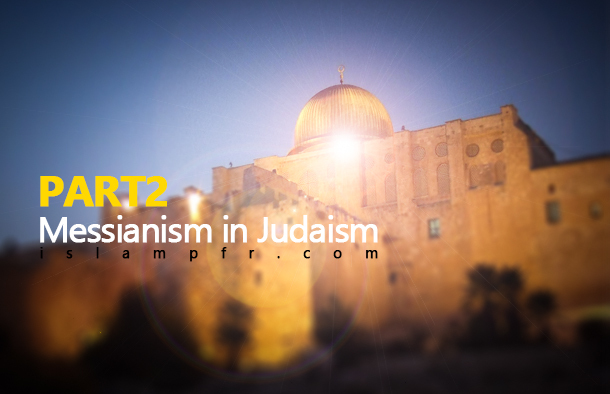 In the last part we briefly examined Judaism and some of its sects and their beliefs about Messianism. Since the promise of a savior in the Torah of Moses and in the Psalms of David is straightly mentioned in the holy Quran, in this part we are going to specifically take a look at the Psalms of David in which there are mentions of the savior of the end times. There are many prophesies about the return of Mahdi (PBUH) and the return of the end times’ savior in the Torah, which is a book that is sent by god and is accepted by Jews and Christians. Since their contents broadly exist in the Holy Quran and the sayings of Muhammad (PBUH) and generally the Fourteen Infallibles, we can say that Messianism isn’t particular for Islam. In Zabur of David, which is named “Psalms” in the Old Testament, There are promises about the arrival of Mahdi (PBUH) in different expressions and it can be said that in any part of Zabur, there are references to Mahdi’s return and promises of the victory of the good over evil and the formation of a worldwide government and conversion of all religions into one righteous, true and everlasting religion. It is worth mentioning that what the Holy Quran has said about the return of Mahdi (PBUH) from Zabur of David, exists identically in Zabur right now and it has been protected from distortion. “Adh-Dhikr” means Torah of Moses (PBUH) in this verse. David (PBUH) was a follower of Torah’s religion. This verse talks about a bright future that evil and corruption has completely disappeared from the world. Evil people and the wicked are destroyed and the inheritance of the earth is transferred into the good people and merit; because the word “inheritance and heritage” is used when an individual or a group of people are dead and their properties, status and wealth and all their possessions are transferred to another group. According to Islamic narrations -Shia or Sunni- this verse is about the return of Mahdi (PBUH) and the Holy Quran quotes this from the Zabur of David and the exact phrase exists in the Zabur too. (12) The wicked plotteth against the just, and gnasheth (grind teeth together) upon him with his teeth. (14) The wicked have drawn out the sword, and have bent their bow, to cast down the poor and needy, and to slay such as be of upright conversation. (16) A little that a righteous man hath is better than the riches of many wicked. (17) For the arms of the wicked shall be broken: but the LORD upholdeth the righteous. (18) The LORD knoweth the days of the upright: and their inheritance shall be forever. (19) They shall not be ashamed in the evil time: and in the days of famine they shall be satisfied. (20) But the wicked shall perish, and the enemies of the LORD shall be as the fat of lambs: they shall consume; into smoke shall they consume away. (22) For such as be blessed of him shall inherit the earth; and they that be cursed of him shall be cut off. (29) The righteous shall inherit the land, and dwell therein forever. (34) Wait on the LORD, and keep his way, and he shall exalt thee to inherit the land: when the wicked are cut off, thou shalt see it.